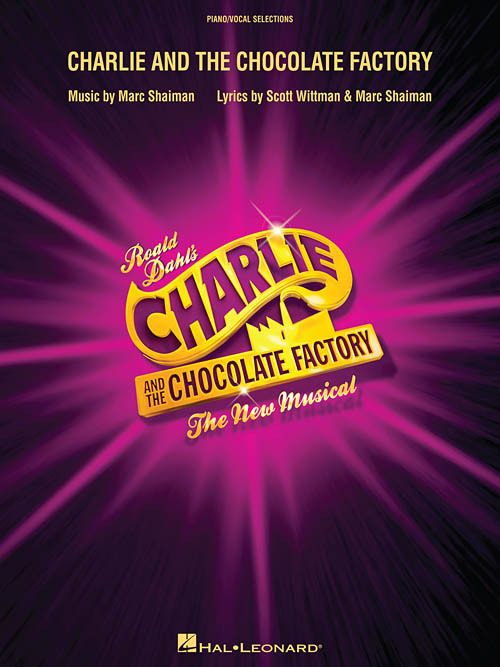 11 songs penned by Marc Shaiman for the London theatrical release of the musical adaptation of Roald Dahl's children's novel of the same name. This collection includes piano/vocal arrangements with the melody in the piano part. Songs: Almost Nearly Perfect • Don'cha Pinch Me Charlie • If Your Mother Were Here • It Must Be Believed to Be Seen • A Letter from Charlie Bucket • A Little Me • More of Him to Love • Pure Imagination • Simply Second Nature • Strike That, Reverse It • When Veruca Says.